I haven’t blogged in a while . . . I know. I’ve been busy with school and personal things. And I was convinced that I wasn’t good enough for you all . . . (sob sob). Anyway! I’d like to announce my triumphant return! I have photos for two new posts on the way! YAY! Some new, delicious recipes. And lots of snarky comments! 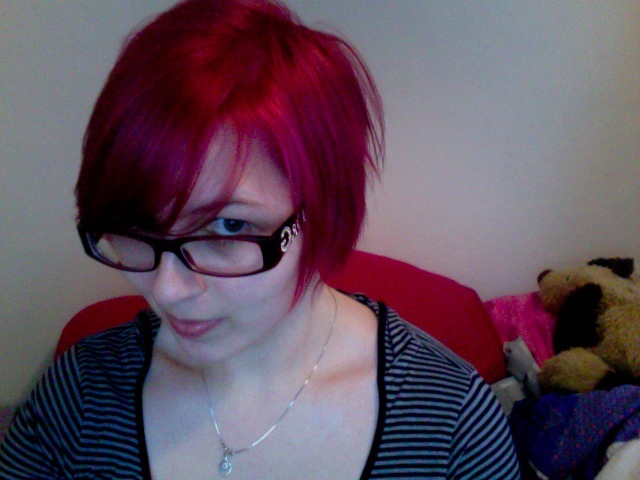 PS: I have pink hair now!